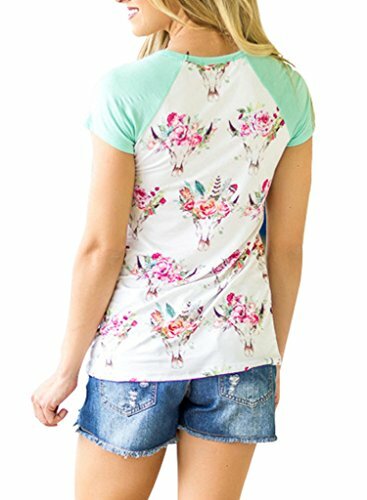 Our favorite cow skull print is back in this adorable color block pocket tee! This short sleeve tee will take your casual weekend style to new heights! 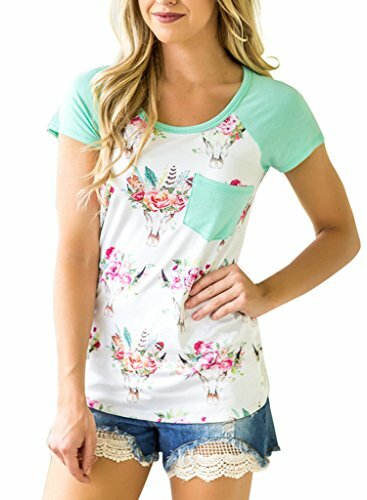 So cute and colorful, you’ll be keeping this one around for seasons to come!Floral print top with pocket,short sleeves.